President Donald Trump's Jan. 20 executive order directing federal agencies that oversee the Affordable Care Act (ACA) to waive or delay taxes, penalties and regulatory burdens "to the extent permitted by law" could affect employer plans' coverage mandates and fees, but won't do so immediately. While the executive order has been seen as a strike against the statute's individual mandate, which requires Americans to obtain coverage that meets ACA specifications, less attention has been paid to how the order and resulting agency actions might affect the employer mandate that requires organizations with 50 or more full-time employees (or equivalent part-timers) to provide ACA-compliant coverage to their full-time workers and to meet annual reporting and notification obligations. The order applies to agency actions to implement the ACA& that affect health care providers, purchasers, patients and insurers, among others. "Interestingly, the executive order did not specifically mention employers, but the broad language would seem to sweep them in as a group that is similarly burdened by the ACA," said Joy Napier-Joyce, Baltimore-based principal and leader of the employee benefits group at law firm Jackson Lewis. 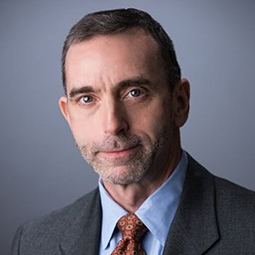 If the IRS concludes that the order directs it to soften the burden on employers in their capacity as health insurers or insurance purchasers, "it might waive, defer or grant exemptions from the employer mandate penalty and the reporting obligation, because the mandate and its reporting obligation impose a tax, penalty or regulatory burden on employers," remarked Edward Fensholt, senior vice president and director of compliance services at Lockton, a benefits brokerage and consultancy based in Kansas City, Mo., in an alert from the firm. Among the federal agencies with ACA oversight responsibilities—primarily the Departments of Labor (DOL), Health and Human Services (HHS) and the Treasury, which includes the Internal Revenue Service —"the most immediate focus will be whether the IRS acts to delay the reporting requirements under the employer mandate," Napier-Joyce said. Last November, the IRS announced that it would give employers an additional 30 days to distribute the ACA's tax year 2016 information-reporting forms to employees, extending the deadline from Jan. 31, 2017, to March 2. But the due dates for filing Forms 1094 and 1095 with the IRS remain unchanged: Feb. 28 for paper/mail submissions or March 31 for electronic filing. Further easing these deadlines going forward "is something the IRS has the discretion to do without following the formal rulemaking process," she noted. "Since employer reporting is the lynchpin to assessing employer penalties under the employer mandate, this may be the next piece we see." In the meantime, "the ACA is still the law of the land," advised Scott Behrens, a benefits compliance attorney at Lockton. "Prudent employers will want to continue to comply with the ACA, including the play-or-pay mandate and reporting requirements"—including furnishing Forms 1095-C to employees and making all required filings with the IRS—"until formal guidance relieves them of those compliance obligations." Similarly, "Another area which could see further relief is with respect to the filing of IRS Forms 1094 and 1095," noted John Barlament, a partner in the Milwaukee office of law firm Quarles & Brady, in an online post. However, "We do not expect any significant relief with respect to 2016 coverage (i.e., the forms which will be filed in the next few months)." Barlament also pointed out that in November 2016 the IRS issued a one-year extension of the "good faith" standard for these forms. Under that standard, the IRS generally will not penalize employers for "good faith" mistakes on those forms, if the errors involve incorrect or incomplete information. "Perhaps the IRS could extend that relief for 2017 and beyond," Barlament suggested. "The IRS could justify such relief by noting that the information reporting obligation may disappear entirely after the ACA is revised or repealed and, therefore, employers should not be penalized for devoting few resources to this reporting. To date, the IRS has not imposed noncompliance penalties under the employer mandate for tax year 2015 reporting, for which filings were due in early 2016—"so employers will be eager to hear from the IRS on any formal changes or direction in enforcement," Napier-Joyce said. However, many of the requirements under the employer mandate were formalized through regulation, so "in order to effectively reverse course, formal rulemaking processes would need to be followed at the agency level, and the executive order expressly indicates that the directive is not attempting to bypass those requirements," she noted. "We will have to wait to see how and when the agencies, particularly the IRS, choose to exercise discretion." While the agencies can use the rule-making process to mitigate some of the statute's requirements, "the bottom line is that congressional action is required to outright repeal the employer mandate penalties," said Chatrane Birbal, the Society for Human Resource Management's senior advisor for government relations. The transitional reinsurance fee. This fee is set to expire for 2017, but insurers and self-funded plan sponsors owe $27 per covered life for 2016. That fee may be paid in two installments: $21.60 per enrollee was due on Jan. 17 and a second installment of $5.40 per enrollee is due on Nov. 15. "The second, smaller installment may now be on the chopping block," Fensholt said. The Patient-Centered Outcomes Research Institute (PCORI) fee, also paid by health insurers and self-insured employers. These fees, roughly $2 per enrollee, are due by July 31. "We suspect collection of this fee will now be suspended," Fensholt said. The "Cadillac tax," a 40-percent excise tax on employer-sponsored health coverage above certain thresholds ($10,200 for individual coverage and $27,500 for family coverage), currently suspended until 2020, "might now be suspended indefinitely," he said. However, before assuming that these assessments won't need to be paid, "plans sponsors must await the response from the IRS, DOL and HHS to the executive order. We suspect they will not need to wait long," Fensholt said. Barlament pointed out that certain provisions of the ACA, such as nondiscrimination rules for nongrandfathered, fully insured health plans, remain in limbo—on the books, but not enforced because the Obama administration never finalized implementing regulations. "Presumably the Trump administration will, at a minimum, continue to hold those provisions in limbo" and "those provisions almost certainly will continue to be delayed," he noted. And what about the ACA's requirements that all health plans cover preventive care and women's contraceptives on a first-dollar basis, outside of plan deductibles? Or that small-group plans provide coverage for a list of essential health benefits? "If the plan is insured through a group insurance policy, state insurance law imposes mandates and requires the insurance company to comply with them," said Fensholt. "We have already seen some states step in to the conversation with the intent to require insurers within their state to cover contraceptives and medically necessary abortions—for instance, New York state, through the release of draft executive orders by Gov. Andrew Cuomo. The same may be true for preventative services," said Napier-Joyce. Different coverage requirements may emerge among the states, she expects, and among employer-sponsored plans that are self-insured, for which state insurance mandates are preempted by the Employee Retirement Income Security Act. "From an employer standpoint, the changes may represent the opportunity to differentiate from competitors by continuing to offer robust benefits, even where no longer mandated," she noted. "Although some compliance burdens may eventually be alleviated, new options in coverage will require employers to make some hard decisions as to the level of coverage they choose to offer" in order to attract and retain a competitive workforce. "Prior to passage of the ACA, many employers had voluntarily offered the health services and benefits that fall under 'essential health benefits' to their employees," SHRM's Birbal noted. "Self-insured sponsors could try to remove the mandates from their plan documents but would risk challenges from employees under the theory that federal law requires plans to honor the mandates" despite nonenforcement by regulatory agencies, cautioned Fensholt, "and failure to administer the plan accordingly" might be viewed as a breach of fiduciary duty.